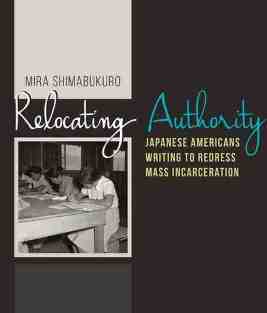 Mira Shimabukuro, author of “Relocating Authority: Japanese Americans Writing to Redress Mass Incarceration” (University Press of Colorado), will speak on Saturday, May 13, at 2 p.m. at the Japanese American National Museum, 100 N. Central Ave. in Little Tokyo. The book, part of the George and Sakaye Aratani Nikkei in the Americas Series, examines the ways Japanese Americans have continually used writing to respond to the circumstances of their community’s mass imprisonment during World War II. Using both Nikkei cultural frameworks and community-specific history for methodological inspiration and guidance, Shimabukuro shows how writing was used privately and publicly to individually survive and collectively resist the conditions of incarceration.. Examining a wide range of diverse texts and literacy practices such as diary entries, note-taking, manifestos, and multiple drafts of single documents, “Relocating Authority” draws upon community archives, visual histories, and Asian American history and theory to reveal the ways writing has served as a critical tool for incarcerees and their descendants. Incarcerees not only used writing to redress the “internment” in the moment but also created pieces of text that enabled and inspired further redress long after the camps had closed. “Relocating Authority” highlights literacy’s enduring potential to participate in social change and assist an imprisoned people in relocating authority away from their captors and back to their community and themselves. It will be of great interest to students and scholars of ethnic and Asian American rhetorics, American studies, and anyone interested in the relationship between literacy and social justice. 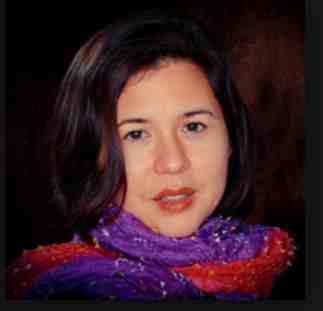 The talk will be moderated by Dr. Thomas Fujita-Rony, associate professor of Asian American studies at CSU Fullerton.